Narcissists derive narcissistic supply from their membership in and fanatical identification with social organizations, such as the Church. "1 But know this, that in the last days perilous times will come: 2 For men will be lovers of themselves, lovers of money, boasters, proud, blasphemers, disobedient to parents, unthankful, unholy, 3 unloving, unforgiving, slanderers, without self-control, brutal, despisers of good, 4 traitors, headstrong, haughty, lovers of pleasure rather than lovers of God, 5 having a form of godliness but denying its power. And from such people turn away! 6 For of this sort are those who creep into households and make captives of gullible women loaded down with sins, led away by various lusts, 7 always learning and never able to come to the knowledge of the truth. 8 Now as Jan'nes and Jam'bres resisted Moses, so do these also resist the truth: men of corrupt minds, disapproved concerning the faith; 9 but they will progress no further, for their folly will be manifest to all, as theirs also was." 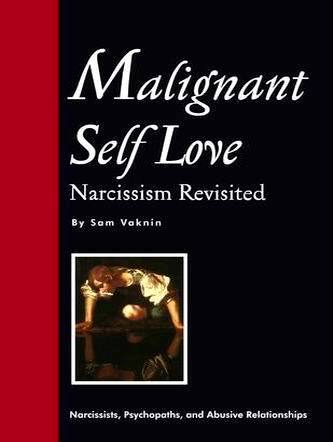 Can narcissism be reconciled with a belief in God?